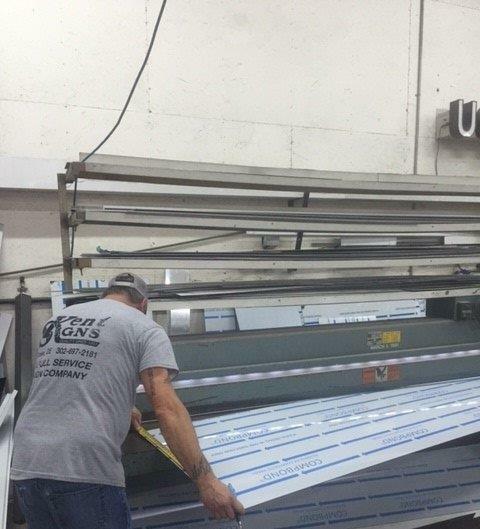 Our Story - Kent Sign Company Inc.
Kent Sign Co. Inc. is a 3rd Generation owned and operated Business. Mr. Cravens owned and worked on a farm in Camden De., during the winter months he painted and made signs for different companies and individuals. 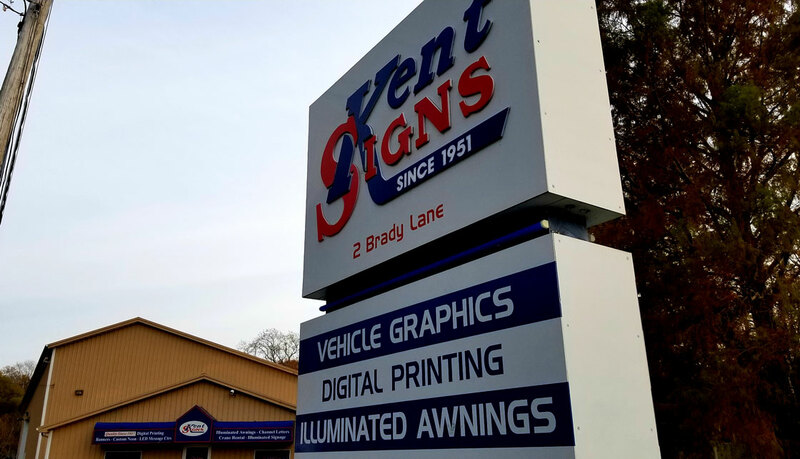 The Sign business became busier than the farm and Mr. Cravens decided to go into the Sign business full time and opened Kent Signs in 1958 in the old Southern Railroad Blacksmith shop in Camden Delaware. In 1961 the business outgrew the Camden location and with the help of his father William Cravens Sr. they moved to their current location at 2 E. Brady’s Lane in Dover, De. Since then the facility has had 2 major expansions /renovations adding 4,000 sq. feet in 1988, and another 5,100 sq. ft in 2005. In 1976 Mr. Cravens Jr. married Leona McCalister and she came to work at Kent Signs running the front office, taking calls and writing orders. Mr. Cravens Jr. handled all the fabrication and installation and day to day operations. In 1978 Mr. Cravens Sr. retired leaving William Jr. and Leona to run the business. They operated the business until they retired in 2005. Kent Signs is now 60 years old and we pride ourselves as providing the best service to our customers at a fair price. We treat our customers and employees as we would want to be treated. Allot of our employee’s stay with us until they retire. Currently our lead installers have been with us 10 years and 12 years and have over 20 years’ experience in the sign industry. Our Lead fabricator has been with us 20 years. And our Lead Designer has been with us 13 years. In addition, our Administrative staff has been with us for 3 years but has over 13 years working in the sign industry, she replaced our other staff member who medically retired after 23 years with Kent Signs. She handles most of the phone calls and Invoicing, Inside Sales and helps with the permitting and most of the clerical duties. We are a true Family owned and operated business because we treat our employees like family and provide our customers with the best service possible at the best price possible. We want every Customer to be become a repeat customer.